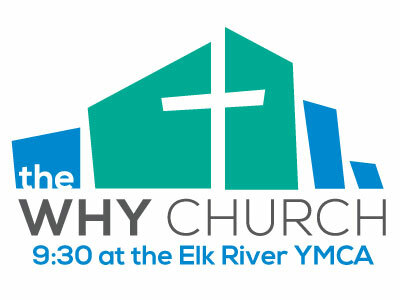 Thank you so much for choosing to host a small group here at the WHY church! We want to provide you with the support you need to host a healthy small group. Therefore, we’ve created a set of training videos that cover some of the most important topics from facilitating a meeting to childcare to troubleshooting issues. If watched back-to-back, the running time for the videos is about an hour. On this site, you will find the Top 100 DVD Bible Studies that we recommend to our WHY groups. They have all been reviewed and hand-picked by WHY church members. The studies can be filtered by theme (e.g. grace, prayer), by audience (e.g. new believer, women, men), by author and by number of sessions. No matter who you are or how long you’ve been at the WHY, you’ll find a great study! Study Gateway is an online streaming video subscription service (like Netflix) offering instant access to hundreds of video Bible and topical studies. Study Gateway provides access on many devices including iPhone/iPad/iPod, Android, phones and tablets, Roku, Mac and Windows PCs. Subscriptions start at just $8 per month for unlimited video streaming. Anthology was created by North Point Ministries (Andy Stanley) in Atlanta. Here you will find many of North Point’s most popular small group studies, all available to stream for free! Echo is a prayer app that you can use on your phone. It helps you organize your prayer life and you can even set reminders. For WHY Groups, Echo has a “Group” feature that lets you share prayers with others. Using the group feature, members can add and update their own prayers anytime, and group members can get automatic notification when prayers have changed. You can even send notifications to other group members letting them know when you’ve prayed for a specific request. An INCREDIBLE resource for group leaders with training videos, group agreement forms, ice breaker questions, study recommendations, free studies and SO MUCH more. Highly recommended!! Error: Error validating access token: Session has expired on Saturday, 02-Mar-19 17:19:36 PST. The current time is Friday, 19-Apr-19 15:48:44 PDT.